Pollen, or flower sperm as it is sometimes called, is an herbal product collected by bees. Its flavor and color depend on its botanical source. Pollen is extremely rich in nutritious matter such as albumen, lipids, enzymes, carbohydrates, vitamins, mineral matter, ferments and other active components. That is why it is a valuable supplement in the treatment of various diseases. Nutritious and therapeutic qualities Pollen, or flower sperm, is often used in the treatment of prostate troubles, even in extremely difficult, chronic cases. Pollen improves fertility and lowers blood cholesterol. It improves cerebral blood circulation and is recommended to people under great mental and physical strain. Pollen’s extraordinary protein complex is a natural means to regenerate the liver. Pollen is also often used in cosmetics. Pollen may be mixed with water, milk or tea. It is best to grind it and mix it with honey because it improves the taste and adds to its positive effect. Pollen may cause allergic reactions, especially with children. Take smaller dosage in the beginning. Pollen is stored in a cool, dry and dark place in a hermetically sealed pot, if possible. Propolis is a resinous substance collected by working bees from tree buds and secreted by their glands. The color of propolis varies from dark green to coffee green – turning darker over time. It has a distinctive aroma and a somewhat bitter flavor. Propolis is composed of resin, wax, essential oils, pollen and is rich in minerals, especially iron and zinc. 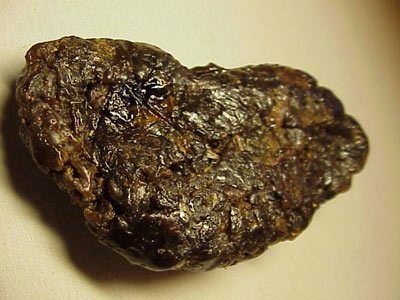 Propolis has long been used in folk medicine but is now also used in orthodox medicine as its invaluable therapeutic qualities have been widely recognized. It is used in the treatment of vascular disease, asthma, gastric and duodenal ulcers, gastritis and various mouth and throat inflammations. Propolis is successfully used as a medical agent in the treatment of various skin diseases such as burns, different types of eczema, warts and hemorrhoids and it also stimulates tissue regeneration. Propolis is commonly dissolved in ethyl-alcohol or in an oil-solution. It may be used in its original state as well. Either dissolved or in its original state, propolis should be stored in a cool, dry and dark place in a hermetically sealed pot, if possible. Royal Jelly is an extremely nutritious, thick, milky-white creamy liquid, of distinctive scent, a slightly sour and somewhat hot flavor. It is produced by working bees, by the secretion of flower sperm, nectar and water. This jelly is fed to working bee larvae and drones at the beginning of their lives, while the queen bee is fed throughout her development as well as later in her life span. The most commonly used jelly is taken from the queen cell, hence the name “royal jelly”. The main ingredients of royal jelly are albumen, vitamins, hormones, lipids, saccharine, water, amino acid etc. What are the therapeutic qualities of Royal Jelly? Royal Jelly is a wonder-working food that stimulates growth, restores strength, regenerates the organism, refreshes memory and regulates the metabolism. Royal jelly has a therapeutic effect on many ailments, while its effects in strengthening the organism’s immunity and improving blood count are especially noteworthy. In recovering patients it speeds the road to health, while it can also improve the condition of patients suffering from Parkinson’s disease. In diabetics, royal jelly acts to regulate blood sugar level. Royal jelly also rejuvenates cells by supplying them with matter that disappears over time. Royal jelly’s invaluable protein composition has a positive effect on children by stimulating growth and development, and strengthening the immunity of a young organism. Royal jelly is the best companion for a long and healthy life. How to store Royal Jelly? Royal jelly in its original state should be stored in a hermetically sealed dark glass pot and be kept in low temperatures (-20°С). It can also be mixed with honey, pollen or with a propolis solution that serves as a natural conserver, thus making it possible to store at higher temperatures. The most effective conservation of royal jelly can be achieved by using a special procedure (liofilisation) for water extraction that turns it into powder, allowing it to be kept for a long period. Beeswax is a natural product, produced by different types of honey bees. Wax is secreted by wax-glands that are located on the inner side of a working bee’s stomach. During secretion, wax is liquid but quickly solidifies into a thick airy mass. After removal of wax panels from their stomach, working bees start chewing wax so it can be used to build honey-comb cells. Beeswax consists of unattached fatty acids, ester, hydrocarbon, mineral matter, water, carotenoid, color and fragrance. Beeswax has no flavor, but has the agreeable scent of honey. It’s color varies from light yellow to darker colors. It turns to liquid at a temperature of about 60°С. Beeswax is used for making wax for honey combs and also in the production of candles, etc. It is used in agriculture for making of graft-wax for fruit growing. Beeswax is also used in folk and modern medicine for making medical ointment, creams and various cosmetic preparations. Beeswax is also used as a balm for burns. It dilates blood vessels, thereby improving blood circulation. Bee venom, or apitoxin, is a thick, colorless liquid of a distinctive scent, similar to the scent of honey, and of a bitter-hot taste. It is produced by working bees’ special glands. This is actually the secretion of the bees’ stinger which serves for protection against enemies. What does the bee venom contain? In comparison with other animal venom, bee venom is quite similar to snake venom, the only difference being the amount of venom, which is lower in bees. Bee venom is used to treat rheumatism, alleviate pain, lower blood pressure and levels of cholesterol. The impact of bee venom on humans depends on the number of stings, the affected area, as well as the sensitivity to bee venom by a given organism. How to use bee venom? Bee venom may be used in human treatment only by doctor’s orders and in his presence. In case you are stung, especially on the head, you should seek medical attention, but until then: squeeze out as much venom as you can and put a cold compress on the affected area.